The Valley Ridge Community Garden is a beautiful green oasis in our community. We welcome you to visit the garden, sit among the plants, and enjoy quiet time. The community garden was built in 2012 by Valley Ridge residents to encourage novice and seasoned gardeners to grow plants, knowledge and friendships. 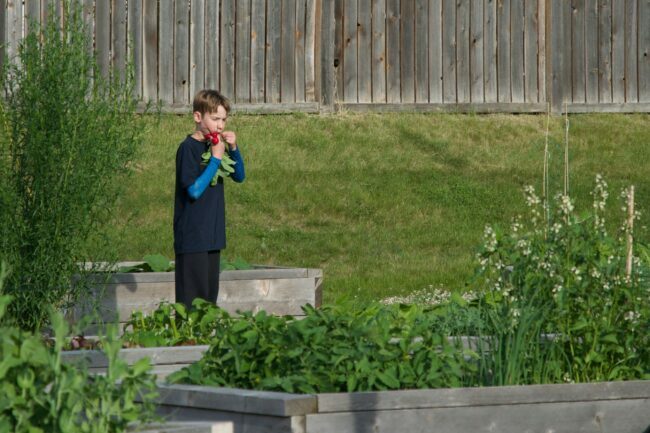 The community garden consists of 31 raised garden boxes available for rent each year, a large herb plot, four corner benches with flower boxes and a raised stage which faces the west. The garden is located by the ice rink and main playground near Valley Meadow Close. The garden boxes rent for $35/season. To rent a box, a VRCA membership of $35 is also required. The stage is available for use. 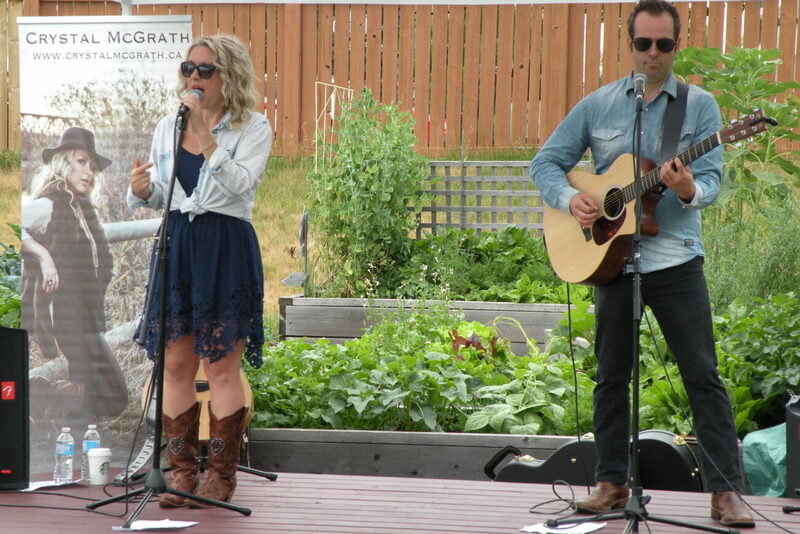 Please contact the Music in the Garden Coordinator at directoratlarge1@vrca.community. Why Rent a Garden Box? Having fun during garden work bees. We have lots of laughs as we shovel compost and pull weeds together! Ready to rent a Garden Box? Garden Registration opens the 2nd Monday in February at 9:00 a.m.! If the website will not let you register, it means all boxes are rented. Please email garden@vrca.community to add your name to the wait list. Occasionally, boxes become available due to unforeseen circumstances. Click the registration button, then follow the prompts. For liability and insurance purposes, you must have a valid annual VRCA MEMBERSHIP to rent a community garden box. If you need a VRCA membership, you will be given the option to purchase it in conjunction with the garden fee. Not interested in renting a garden box, yet interested in gardening or taking part in some of the events? You can become a “friend” of the Valley Ridge Community Garden. Register your email at garden@vrca.community and you will receive notices about gardening events (speakers, socials, work bees, gardening information, etc.). 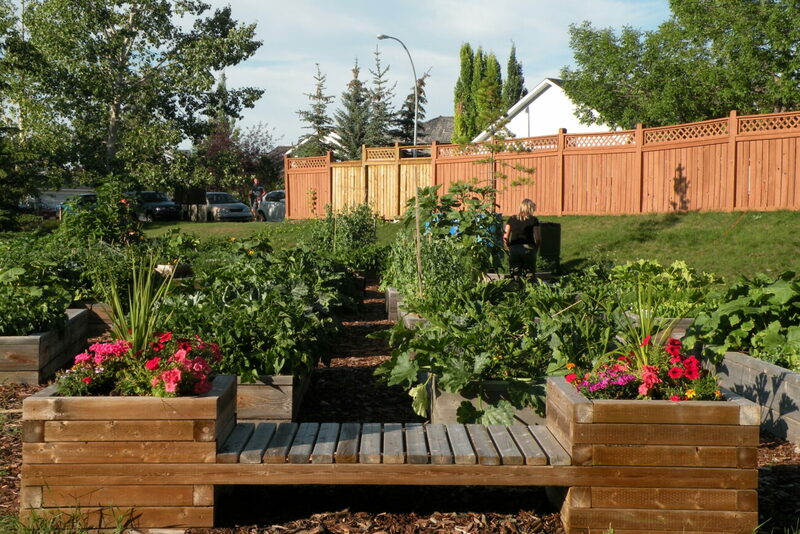 The Calgary Horticultural Society supports community gardens in Calgary. Check their website to locate other gardens, learn about gardening presentations offered throughout the year, sign up for a community garden newsletter, and join in special events. .